Zoning codes are the unseen yet decisive guiding force that can either help or hinder the creation of great, walkable, people-scaled places. This primer from our Form-Based Codes Institute gives you the basics on form-based codes: what they are, where they work, and how they can help create and sustain great places. To try and remove barriers to walkable communities and take a more holistic view of all the elements that make a great place, some cities are adopting form-based codes for their entire city or various neighborhoods. But what is a form-based code? Our colleagues at the Form-Based Codes Institute (FBCI) put together this short FAQ to answer that question. What’s a form-based code, anyways? 1. What’s the difference between a conventional zoning code and a form-based code? Conventional zoning is primarily focused on what happens inside the buildings—the uses. That’s how different zones get their names, like “single-family residential,” “multifamily residential,” “industrial,” or “retail/commercial” for example. With such zoning, the quality, scale, character, and design of buildings and blocks—which are so important for creating great places—take a back seat to what’s happening inside the buildings, if they’re even considered at all. And the character of streets and other public spaces around development are never addressed. 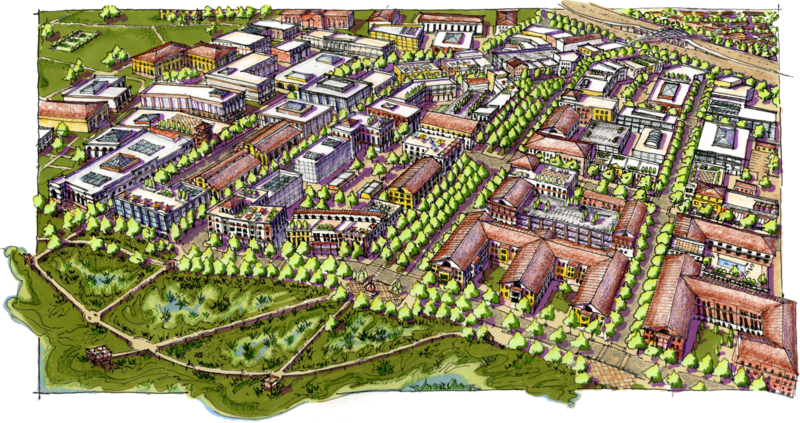 Most conventional zoning fails to encourage walkable, mixed-use development because it’s designed to separate uses. 2. Where are there examples of successful form-based codes? Neighborhoods and districts like Fort Worth’s Near Southside (TX) and Pleasant Hill BART station area (CA). 3. What kinds of communities adopt form-based codes? 4. What is the role of form-based codes in gentrification or displacement? 5. Aren’t form-based codes more costly than traditional zoning? 6. How can we educate people about/advocate for form-based codes with our elected leaders and citizens? Our Codes for Communities program draws on the experience and talents of FBCI leaders to provide local governments with advice and guidance on form-based codes and zoning reform. FBCI offers four levels of assistance in the Codes for Communities program: code review, code audit, code adjustment, and a new form-based code. For more information about form-based codes, FBCI, or our programs, go to formbasedcodes.org or contact us at (202) 868-4103 or through this form.